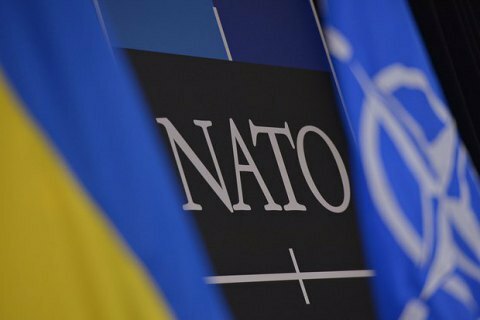 The head of state is expecting the NATO to confirm the stance declared at the Bucharest summit. "We are expecting support of the alliance; we are also expecting that the stance declared at the Bucharest summit, in particular, that the NATO door is open for any European country, to be confirmed," he said at a joint press briefing with U.S. Secretary of State John Kerry in Kyiv on 7 July. Kerry, in turn, noted that the US and its NATO partners maintain an open door policy for membership in the Alliance. "We are ready to welcome new members when they are ready. As President Poroshenko has said, Ukraine is still a long way to go in the defense sector reforms and, as such, it is part of the dialogue in the context of NATO-Ukraine Commission," he said. The summit of NATO member nations will be held on 8-9 July in Warsaw. Ukraine's Foreign Minister Pavlo Klimkin has said Ukraine expects the summit to offer specific projects and decisions on filling in trust funds for the Ukraine's reform of security sector. The minister declined to elaborate on the size of sums involved, but explained it was about aid in the form of technical equipment and facilities for the training of Ukrainian military.